prAna Kara Jean. Customers can't get enough of the Kara. As prAna's best-selling fitted jean, its soft stretch denim was engineered for adventure and everything in between. 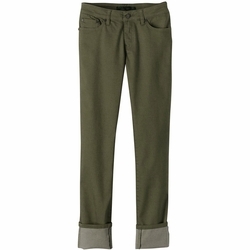 And since this sustainably designed denim pant can be worn cuffed or long, its durability and versatility knows no end. Traditionally styled with 5 pockets, a low rise and tapered legs.